Many students of all ages ask the question, how do I revise? Well there is not one fixed method for effective revision as different people learn in different ways but there are a number of common things that seem to work for many people. The following list are general ways that people revise which can applied to any subject and any level. For subject and level specific revision see further down this page for more detailed information. 1. 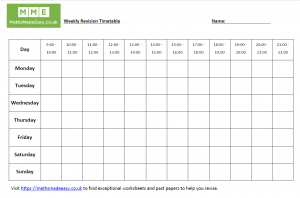 Revision timetable – A good place to start is with a revision timetable. Although this doesn’t tell you how to revise, without managing your time effectively any revision you do is likely to be ineffective. Take a look at our revision timetable below. 2. Note taking – It is common knowledge that you take in more when writing notes as opposed to simply reading texts. However, many students make the error of simply copying text from one book into another which is very time consuming and not very effective. A better way to revise is to read a section or page of text, focusing on the key aspects of that section and then try to write down the notes from memory. See which bits you have missed and then fill in the spaces. 3. Condensing – When asking how to revise, we are effectively asking, how do I take this huge lump of information, remember it and understand it for my exam. Well the key to this is condensing it. Whether you use spider diagrams, flash cards, audio notes or drawings to help you take in the information, the key is to condense the original text down into smaller more manageable chunks that make sense to you. This condensing process may require multiple stages, where you condense it once, then you condense the next set of notes and so on until you can cover the entire course in as little as a few pages of really key condensed notes and at this stage the notes may not make sense to anyone else but they are the key things that remind you of all the information you need to know. 4. Flash Cards – Revision cards are a good way to condense the information you have to learn, into smaller more manageable chunks. When we asked a cross section of our website users how they revise, many responded with flash cards as an answer. Many people find them useful. To see our selection of maths flash cards visit our dedicated page. 5. Past Papers – Past papers are arguably the most useful revision tool and are a great way to prepare for an exam. It is essential that these limited resources are used in the right way. Trying to do past papers too early before you know the course can be demoralising and attempting them too late may mean you miss out on some really valuable practise and insight into what the examiners are looking for. To access all past papers, for all levels, subjects and exam boards, visit our dedicated page. 6. Practice Questions – Because past papers are finite in resource, especially for the new specifications, looking for other sources of practice questions is advisable. The older past papers from previous specs are not always that relevant so before you get onto the new past papers, you ideally want to start by practising questions from other sources. At Maths Made Easy we have a question bank of over 1 million practice questions across a range of subjects and levels so whether you are looking for worksheets, online tests or PDF’s you will find the practice questions you are looking for. You can even look at technology and using something like a maths app to help you practise questions. KS2 SATs are the first time that children think about how to revise, often with the help and persuasion of their parents. Revising for KS2 SATs is tricky as the children at this age are young and find it difficult to concentrate on revision but a few questions each evening, little and often, is the way to go. To get access to KS2 SATs papers visit our dedicated page. Knowing how to revise for GCSE exams is crucial as an effective revision approach can make a huge difference to outcomes. All of the general revision techniques described above still apply, so it is a case of using a combination of these with access to the best resources. Actually finding useful revision materials to revise from can be a challenge which is why we are here to help. The following list will give you access to a whole host of GCSE revision materials for your core subjects that will help you to revise. 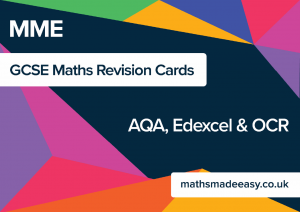 – GCSE maths worksheets and revision materials. Knowing how to revise for A Level exams is key to getting into the University of your Choice. Again all of the general revision pointers above still apply, so using revision cards, spider diagrams, condensing notes but by this stage you have to be really good at them because the amount of information you are trying to condense. Once you have condensed your notes and you are on to practice questions then the following links will help you to revise. We hope you have found this how to revise page useful. The list of pages below are related to how to revise and you may also find these useful.